Christine Nisan, Senior Consultant and therapist at the Psychotherapy Institute, has been in practice for 20 years. 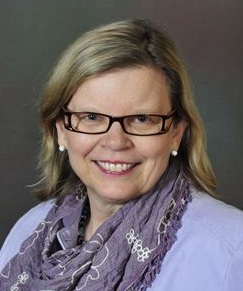 She received her Masters Degree in Counselling Psychology in Chicago, Illinois, and is a certified Member of the Ontario Association of Consultants, Counsellors, Psychometrists, and Psychotherapists (OACCPP) as well as a long-time member of the North American Society of Adlerian Psychology (NASAP). Over the years, she has led many parent study groups, workshops, and presentations including such topics as; “Raising a Responsible Child”, “Stress Management”, “Turning People On: An Encouragement Lab” as well as organizing and speaking at several conferences for parents and families, entitled “The Living Family”. She has appeared on television, and radio, in both Canada and the U.S., has published in “Today’s Parent”, and co-authored a weekly parenting column for the Milton Observer. Christine currently works at the Psychotherapy Institute in Toronto, and is director of it’s satellite clinic in Burlington. She specializes in individual problems such as depressive feelings, anxious feelings, post-traumatic stress, women’s issues, problem-solving, concerns about aging, and concerns in the gay, lesbian and transgendered community. Christine is grateful to her clients over the years who have opened up their lives to her and who through their own process of recovery and growth, have taught her so much. Michael G. Vesselago, M.D. has been a member of the Psychotherapy Institute Staff for the past ten years and has served as Medical Director for five. Trained initially in internal medicine, Michael then moved into primary care and family medicine early in his career. As his appreciation of the importance of how we conduct our lives grew, his keen interest in the underlying causes and contributors to disease led him to add complementary approaches and then, finally, psychotherapy to his armamentarium. Michael is a keen diagnostician who never shies away from a challenge.